Dow Jones Industrial Average News, 8/5/2016 – The probability of an interest rate hike in December increased from 30% to almost 40% on Friday, according to the CME Group. The jump came after the U.S. Labor Department announced a strong July jobs report. The jobs report fueled the Nasdaq and the S&P 500 to record highs, and forced many investors to forget all of the massive stimulus programs announced earlier this week to combat weak global economic growth. We've seen this too many times before to play this game. Like Lucy pulling the football away from Charlie Brown, the Fed has repeatedly teased a rate hike, only to find some other excuse (the Brexit, China's currency devaluation, bad weather) to prevent a rate hike. While that story was trending, a number of profit opportunities and important stories likely slipped under the radar. The Nasdaq and S&P 500 were tracking for record closing highs on Friday as investors poured back into stocks thanks heavily to a positive jobs report. This morning, the U.S. Labor Department announced the July unemployment rate held steady at 4.9%. This morning's jobs report indicates that the United States saw an increase in 255,000 jobs last month, easily surpassing the economist expectations of 180,000. Despite the positive report, the nation is still experiencing lackluster economic growth. CNBC reports that GDP growth over the first half of 2016 sat at roughly 1%. The hopes of a rate hike are always good for the financial index, which hit its highest point of 2016. Shares of JPMorgan Chase & Co. (NYSE: JPM) added 2.7%. Shares of Goldman Sachs Group Inc. (NYSE: GS) added 2.5%, while Morgan Stanley (NYSE: MS) was up about 2.6%. 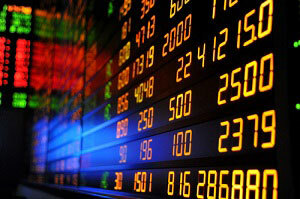 Today's top gainer in the sector were shares of Ashford Hospitality Trust Inc. (NYSE: AHT). Gold prices and silver prices slumped after Friday's positive jobs report. Gold prices slipped by 1.7%, while silver prices were off 3.3%. Here's why silver prices were falling and where we see them heading from here in 2016. Crude oil prices were flat on Friday after the Labor Department announced its positive report. The oil markets are holding in a cozy range despite news that the U.S. production rig count increased by seven last week to 381. Our Global Energy Strategist Dr. Kent Moors explains we are entering a period of "range-bound" oil prices, which can be very profitable for the savvy investor. WTI crude was off 0.1%, while Brent crude prices added 0.1%. The big news today came from Apple Inc. (Nasdaq: AAPL). The tech giant announced plans to award bounties of up to $200,000 to anyone who can identify possible security vulnerabilities in its products. This is a major change for Apple, which has never relied on external security experts or ethical hackers to identify flaws in the firm's technologies. While that story was featured all over the major media outlets, investors might have missed something. There's a major catalyst that is poised to drive AAPL stock up to $200 per share. Read all about it, right here. In earnings news, LinkedIn Corp. (NYSE: LNKD) reported one of its last earnings reports before it will merge with Microsoft Corp. (Nasdaq: MSFT). The social media giant topped Wall Street earnings estimates by a steep margin. The firm reported adjusted earnings per share (EPS) of $1.13, topping expectations of $0.78. The company also reported its largest quarterly revenue in company history. Meanwhile, keep an eye out for additional earnings reports after the bell from Virgin America Inc. (NYSE: VA) and Kronos Worldwide Inc. (NYSE: KRO). It was a wild day in the healthcare markets. Shares of Bristol-Myers Squibb Co. (NYSE: BMY) fell almost 16% after the company's lung cancer drug failed its phase 3 drug trial. That drove shares of Merck & Co. Inc. (NYSE: MRK) up roughly 8%. Finally, here is your insight of the day. Earnings season has surpassed analysts' expectations. But the sector that has completely blown the doors off forecasts has been one of our favorites: technology. If you want to make money – big money – you need to know about the four best tech stocks to buy now as we wrap up Q2 earnings season. Money Morning Director of Tech & Venture Capital Michael A. Robinson outlines these four plays, right here.